Silver and Gold We Have! 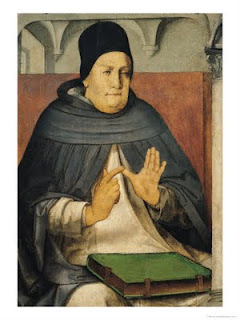 Thomas Aquinas was one day with Pope Innocent the Fourth in his closet, when an officer of his chancery came in with a bag of gold, procured by Absolutions and Indulgences. The Pope profanely said: "See, young man, the Church is not what it was in the times when it used to say, "Silver and gold have I none"
"Holy Father, that is very true, indeed," replied Aquinas, "but then it cannot say to the poor afflicted with the palsy, 'Rise, take up your bed and walk.'"